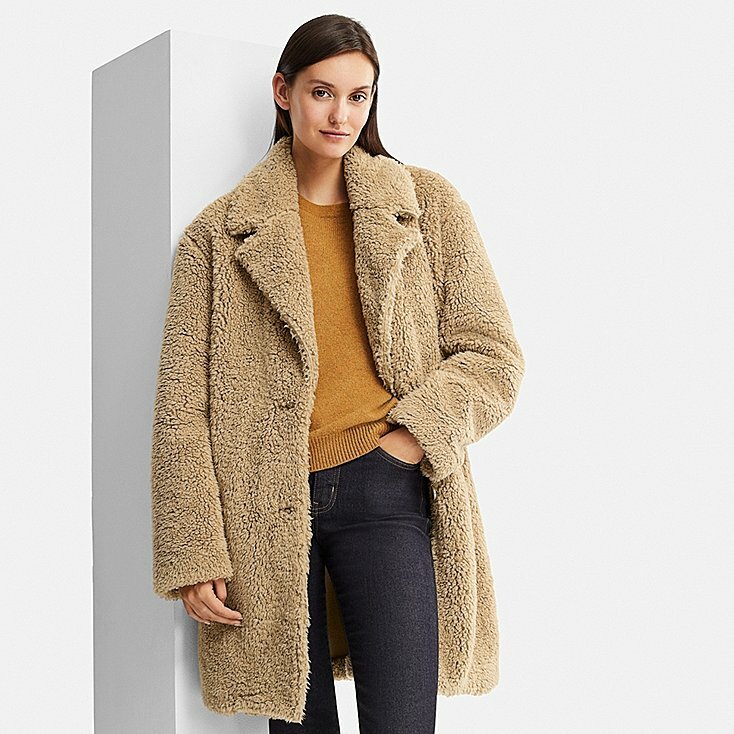 I feel completely delighted with my Saturday purchase of this fleecy coat from Uniqlo. I’ve had to sit on my hands all week to save it for Friday Treat. I’m not so keen on the ‘teddy bear’ coats around at the moment – some of them are just too nylon-y, too massive or too curly textured. I had the perfect cream coloured curly coat a few years ago sent to me by M&S and I wore it into the ground. But a cream coat in London doesn’t last forever.. I can’t bear to throw it away but it is known as the dirty poodle! 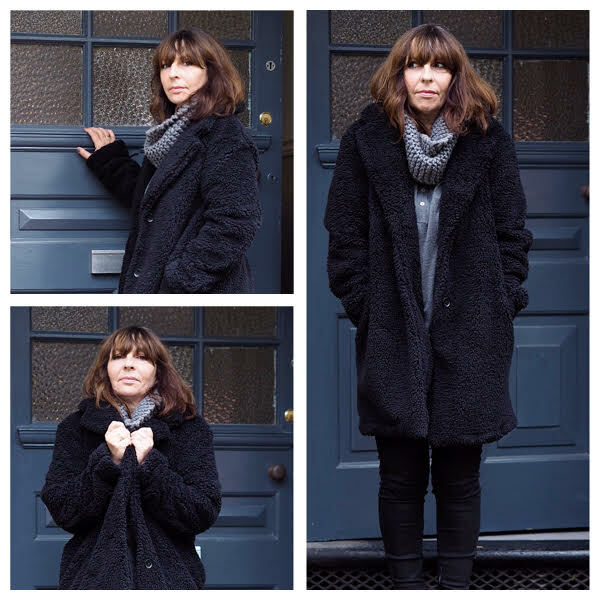 Here I am – my daughter caught me just coming back from walking Honey (hence the hair and barely a scrap of make up) and it’s just the perfect coat for wintery walks, bonfire nights or staying cosy on the commute. What I like most about it is that it’s the softest, fling-on fleece that needs no care whatsover – it will wash perfectly and at £34.90 it won’t get anything like the respectful treatment of my ‘proper’ coats. It doesn’t crumple or crease (I’m sitting on mine right now!) and fulfills all those blankety feels that winter brings. You can get it in the honey shade, khaki or black – I’m wearing M (I’m a size 12) but could have got away with small (I like big jumpers so allowed for room). I’m so happy with this cosy buy. You can find it HERE. Ha ha, I love me be too, wearing it as I type and been asked twice this morning where I got it from. I got the khaki one – so snuggly and such a bargain! 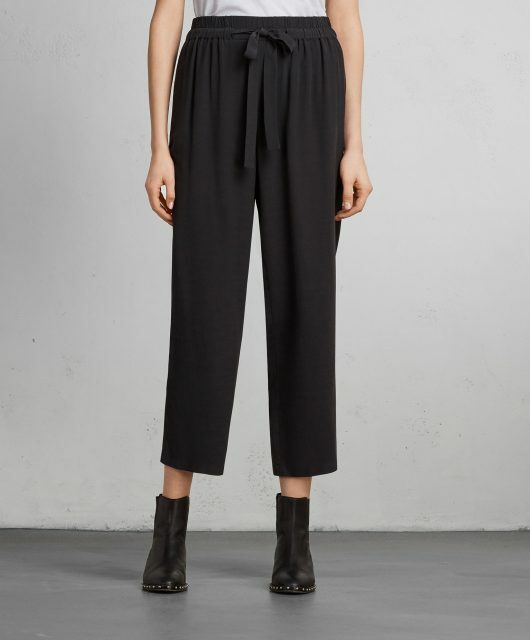 And now I’ve seen you in Black one I want that one…mind you I’m wearing mine today in Glasgow and it’s so warm I’m quite literally melting…!! Warehouse……but maybe Uniqlo does online sales! Perfect timing as I really am in love with this look. Thanks for this, you’ve made me determined now! And ordered! I love coats like this, and for some reason it’s rare to get them in black. 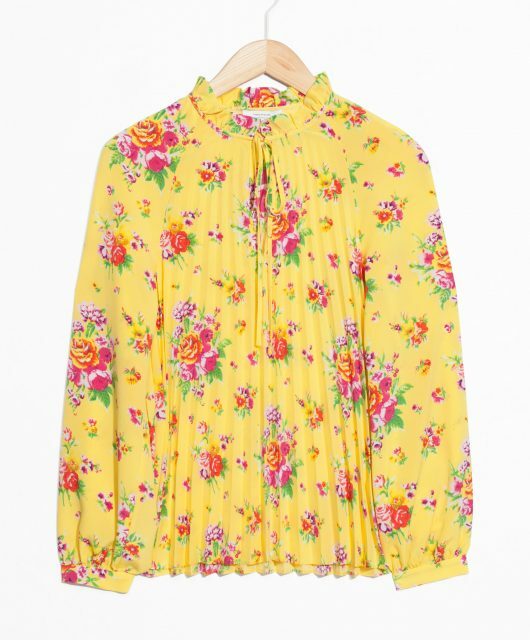 The one I ordered from ASOS earlier in the week will be going back, as this one looks perfect, thanks for the heads up.